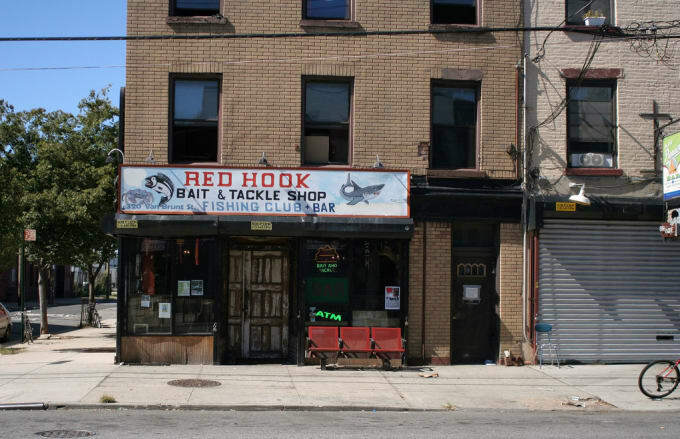 Address: 320 Van Brunt St.
One of the few spots in NY where you can be the only person in the bar (the bartender is there, too), Red Hook Bait & Tackle is a sleepy, out-of-the-way dive full of dead things. Taxidermied things, to be exact. Stuffed animal heads. A bear. Mounted fish. Norman Bates would feel right at home, though he might be short on women to stab. Not many people want to bus out to a bar, which is the fastest way to reach this dive. We never said any of this was going to make sense.